We would like to travel by train and use airbnb accommodation. 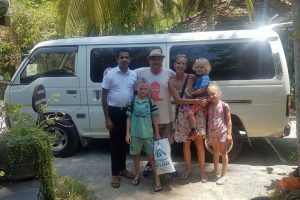 Can we choose a hub to do day trips from and book a local driver and car? We are going to Sri Lanka mid November 2017. We would like to see the ancient cities first, then a bit of the hill country, then the south (I hope to see a blue whale). Finishing with a couple of days in Colombo.